The Hariyo Ban Program, funded by USAID and implemented by a conglomerate of WWF, CARE, NTNC and FECOFUN with WWF as the lead, aims to reduce adverse impacts of climate change and threats to biodiversity in Nepal. ABARI, in collaboration with WWF is planting bamboo in Madi municipality, Chitwan. ABARI aims at supporting and developing a bamboo model village in Madi valley as an approach to address the threats from flooding and also minimize human wildlife conflict in Chitwan. The 2010 Chitwan flood not only swamped four VDCs in Madi, but washed away river banks which caused damage of property and deposited tons of silt and sand particles. The flooded area which falls in the boundary of Chitwan National Park was then declared as infertile land. 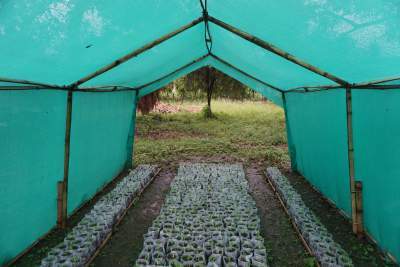 ABARI procured a land in Madi to demonstrate land rehabilitation through plantation of bamboo. 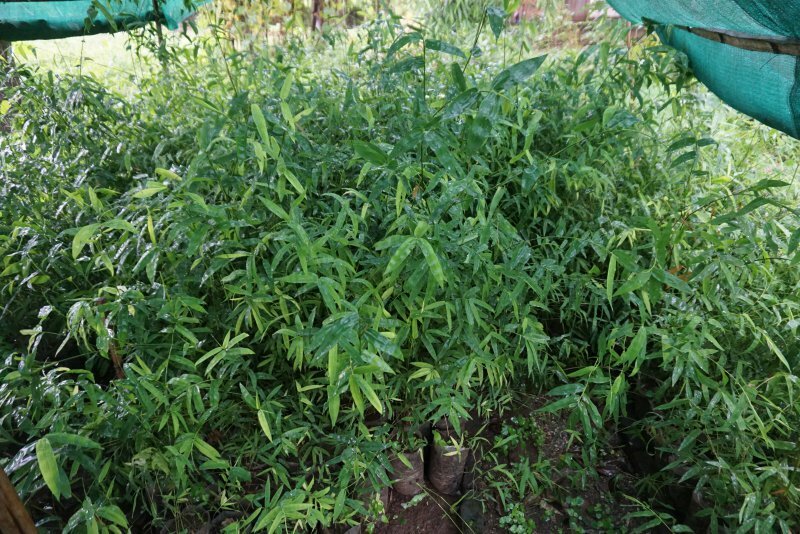 A total of 400 seeds of high value bamboo species were planted along with commercial crops such as ginger, sisal and mango. Looking at it today, the land has turned out to be a model in the VDC. Bamboo has not only protected the land and valuable crops surrounding it, it has worked as a fence to guard the wild animals away from the human habitation. On witnessing the success of Hariyo Ban project, locals and communities have shown keen interest in adopting ABARI replica in their farms. Plantation of close to 10,000 plants in Madi Valley by mobilizing and building resources of local communities in order to create natural embankment which will restore degraded river banks and reduce community-wildlife conflict. Create sustainable source of livelihood through production of bamboo based products like bamboo roof structures, furniture, bamboo water tank etc.